Posts tagged " Tax "
As a small business owner, you spend countless hours working on your business. Now that the business is finally generating a profit, the last thing you want to is pay more in taxes than you need to. If your business is set up as a partnership or an LLC, your income is subject to self employment taxes. However, if your business is established as an S-corporation, you are not subject to self-employment taxes. This is because you are treated as an employee of the S-corporation. 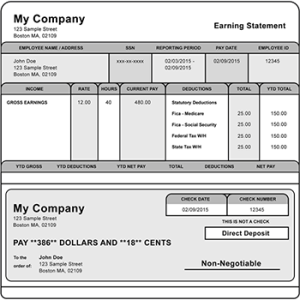 As an employee, your wages are subject to the same payroll taxes that any employee’s wages are subject to. Self-employment taxes are designed to achieve a similar result as payroll taxes. Therefore, theoretically there should not be any significant difference in taxes paid between an LLC and an S-corporation. However, many S-corporation shareholder-employees discovered a loophole. If an S-corporation shareholder-employee takes very little to no compensation and primarily takes shareholder distributions from the business, less taxes would be paid. The use of a formula to determine compensation. If the IRS determines that your compensation is inadequate or unreasonable, it has the authority to reclassify amounts you received as a distribution as compensation. There have been a number of tax court cases in recent years in which the IRS has successfully reclassified distributions as compensation. In one case, the shareholder was the only employee of the business and he did not take any salary. Instead, all the money he withdrew from the business was classified as distributions. Because all of the income was derived from his own efforts and the distributions paid to him would be a reasonable amount for a full-time worker in his position, the courts upheld the IRS’ reclassification of the distributions as compensation. In another case, a business owner with over 20 years of experience within his field paid himself a salary of $24,000 and took more than $200,000 in distributions. It was eventually determined that others in a similar position within his industry were paid a salary of $67,000, so a portion of his distributions were reclassified. I am going to go off on a limb and guess that you do not want to pay any more tax than you are required to. You don’t enjoy paying taxes on the income you earn, so you certainly do not want to pay taxes on “phantom income”. Phantom income is income that is reported to the IRS for tax purposes but that you did not actually receive. Years ago, Tom and Ed formed an LLC. They each contributed $75,000 to the business, and used those funds as a down payment to purchase a rental property for $600,000. They borrowed the remaining $450,000. Over the years, the property appreciated in value and is now worth $750,000. Sam is interested in joining the LLC and agrees to purchase a one-third ownership interest for $250,000. As part of that purchase, he acquired one-third of the “original basis” in the rental property ($200,000). If the LLC sold the property the next day, it would recognize a gain of $150,000. Each owner’s K-1 would show capital gains of $50,000 which they would be required to report on their individual tax return. However, this is not fair to Sam. He already paid for the appreciation on the property when he purchased his ownership interest, so he should not be taxed on it now. This is phantom income. To avoid this issue, partnerships and LLCs can make an election under Internal Revenue Code Section 754. If this election is made, for tax purposes the business would step up the basis of the rental property to reflect the additional contribution made by Sam. Therefore, after this election is made the business would show a basis in the rental property of $650,000. Upon the sale of the rental property, this basis would be specially allocated among the owners. Tom and Ed would each still have a basis of $200,000, and Sam would have a basis of $250,000. Therefore, if the rental property was sold for $750,000, Tom and Ed would show capital gains of $50,000 each and Sam would not show any capital gains. Another element of this election is that if the Section 754 basis is allocated to depreciable property, the Section 754 basis can be depreciated. In Sam’s case, residential rental property can be depreciated over 27.5 years so Sam is able to depreciate his $50,000 over 27.5 years for an annual tax deduction of $1,818. Adopting a child can be truly rewarding, but the process can be expensive. However, the cost can be partially offset through the Adoption Tax Credit. For 2016, families can claim a tax credit worth up to $13,460. You may qualify if you adopted a child and paid qualified expenses relating to adoption. While this tax credit is non-refundable, any unused portion may be carried forward for up to 5 years. Other expenses directly related to the legal adoption of an eligible child. An eligible child is a child under the age of 18 (who is not the child of your spouse or from a surrogate parenting arrangement), or an individual of any age who is physically or mentally incapable of caring for him or herself. If you are adopting a U.S. child with special needs, you may qualify for the full $13,460 regardless of your actual qualified expenses once the adoption becomes final. Any qualifying expenses paid after the year the adoption becomes final can be claimed in the year of payment. Basically, if you are adopting a child who is a U.S. citizen or resident you can use the qualifying expenses to claim the tax credit even if the adoption does not become final, but if you are adopting a foreign child it must become final. Additionally, if your employer has a qualified adoption assistance program, any amounts paid to you or on your behalf for the purposes of adopting a child may be excluded from your income. This tax credit does phase out based upon income. In 2016, if your modified adjusted gross income is greater than $201,920 it begins to phase out and will be completely phased out when your modified adjusted gross income reaches $241,920. College is expensive. There is no getting around that one simple fact. In one survey, it was determined that for the 2012-2013 school year, the average cost for an in-state public college was $22,261, and the average cost for a private college was $43,289. Keep in mind that is a per-year cost, and included is the cost of tuition, fees, book, and housing. The cost hasn’t gone down since then, and it isn’t likely to any time soon. So what can you do to make college more affordable? Of course there are academic and athletic scholarships. If you can get any type of scholarship that is of course the ideal situation. Not only is it “free” money, but it is non-taxable to the extent that it is used to pay for your tuition, fees, books, and other course-related supplies. It is also very common to take out student loans. There are a variety of types of student loans, but a common feature for tax purposes is that the interest paid on student loans is deductible. This deduction phases out for single individuals with income over $75,000 and married couples with income over $155,000. The American Opportunity Credit. This credit is worth up to $2,500 per year per eligible student. This credit is available for the first 4 years of higher education at an eligible school. You are able to claim the credit to cover the costs of tuition and required fees, books, and other course-related materials. An added bonus with this tax credit is that it is partially refundable. This means that you can get a tax refund of up to $1,000 even if you do not owe taxes. The Lifetime Learning Credit. This credit is worth up to $2,000 per year per tax return. The credit is available even after the first 4 years of higher education. 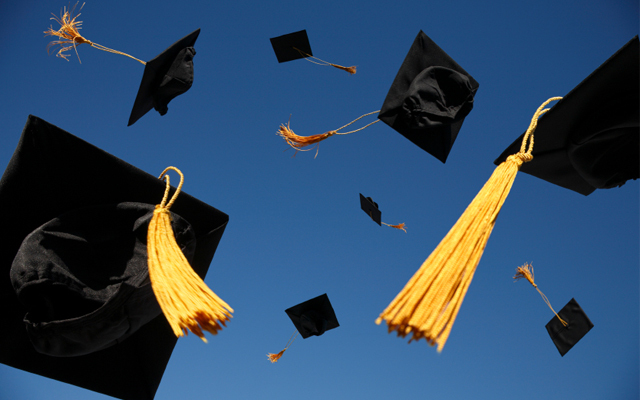 There are also several ways to help to save for college that have tax advantages. Savings Bond Interest Exclusion. All of the interest income from Series I and Series EE bonds issued after 1989 are tax-free. To qualify, the bond owner must have been at least 24 years old when the bond was issued, and the money must be used to pay qualified education expenses for yourself, your spouse, or a dependent. This tax benefit phases out based upon your income level. 529 Savings Plans. Your investment into a 529 Savings Plan grows tax-deferred, and the distributions from the plan that are used to pay for the beneficiary’s college costs are tax-free. With a 529 Savings Plan, the full value of your account can be used at any accredited college or university in the country. 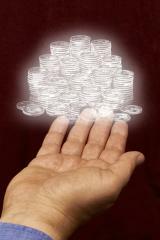 Any non-qualified distributions are subject to a 10% penalty on the earnings and will be taxed. 529 Prepaid Plans. Prepaid tuition plans are guaranteed to increase in value at the same rate as college tuition. This means that tuition rates are locked in, offering peace of mind if you expect college tuition to rise. If the student attends an in-state public college, the plan pays the tuition and the required fees. If the student decides to attend a private or out-of-state college, the plans typically pay the average of in-state public college tuition. 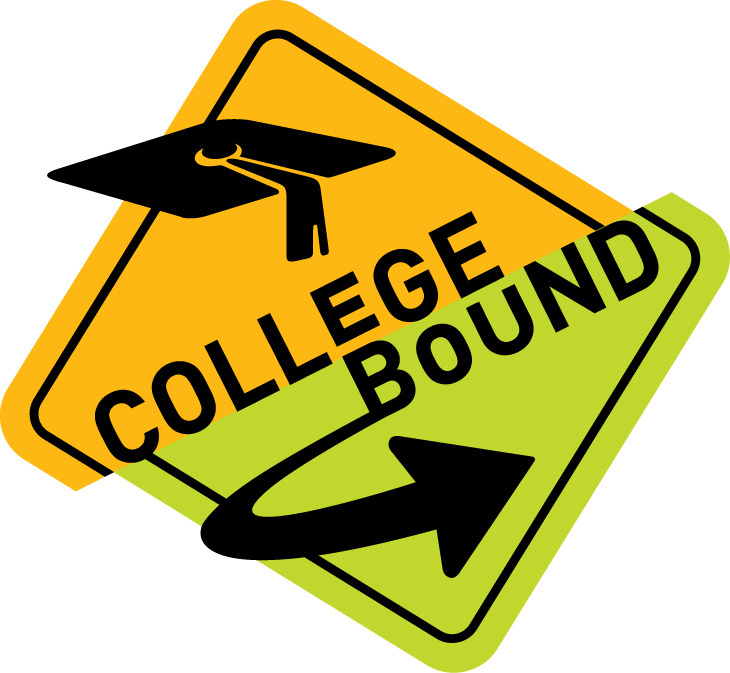 If a student decides not to attend college, the plan can be transferred to another member of the family. 529 Prepaid Plans are exempt from federal income taxation. If no member of your family attends college, any non-qualified distributions are subject to a 10% penalty on the earnings and will be taxed. Education Savings Account. Up to $2,000 can be contributed to a Coverdell Education Savings Account in any year. The amounts deposited into the account grow tax-free until distributed, and the distributions are tax-free as long as they are used for qualified education expenses. If a distribution exceeds qualified education expenses, the portion attributable to earnings will be subject to a 10% penalty and will be taxed. 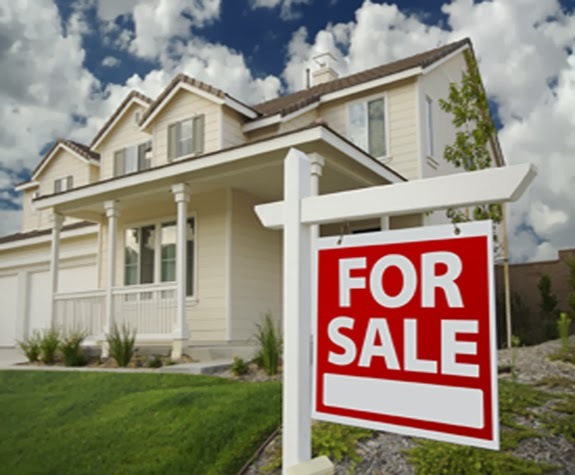 Are you looking to sell your home? Then you may be able to take advantage of a major tax benefit! You may be entitled to exclude $250,000 of gain from the sale of your personal residence. If you are married, you may be entitled to exclude $500,000 of gain! In order to exclude this gain, you must meet 3 tests. Ownership Test. You must have owned the home as a principal residence for at least 2 of the 5 years prior to the sale. If married, either or both spouses can meet this test. Use Test. You must have used the home as a principal residence for at least 2 of the 5 years prior to the sale. If married, both spouses must meet this test. Frequency Test. The exclusion applies to only one sale every 2 years. If married, this test is not met if either spouse has claimed this exclusion within the past 2 years. If both spouses do not meet the use and frequency test, then a portion of the exclusion may still be claimed. In this case, instead of being able to claim the full $500,000 exclusion, the couple would only be able to claim the $250,000 if one spouse meets all 3 tests. There is a safe harbor rule defining what qualifies under each of these three exceptions. Lets look at an example. In April 2014, John and Jane Smith purchased a small, 2 bedroom house for $500,000. In September 2015, Jane gave birth to twins and they decided that they needed a larger home to accommodate their larger family. In October 2015, with the help of a great realtor, the Smiths sold the same house for $800,000. The Smiths have $300,000 of gain on the sale of their home. They are afraid they will have to pay taxes on the full $300,000, but they talk to a CPA and learn that they do not have to. Although they did not meet the 2 year ownership and use tests, they qualified for a reduced exclusion because the birth of multiple children from the same pregnancy is considered an “unforeseen circumstance.” Because they owned and lived in the house for 18 months, they are able to take a reduced exclusion of $375,000 which is enough to eliminate their entire taxable gain. They do not have to pay any tax on the sale and can use the extra $300,000 to buy a bigger house! Traditionally IRAs invest in stocks and bonds. However, through the use of self-directed IRAs, it is possible to have your IRA invest in real estate and businesses. Self-directed IRAs are simply IRAs whose custodian permits a wide array of investments beyond bonds and securities and provides for maximum control by the account holder. 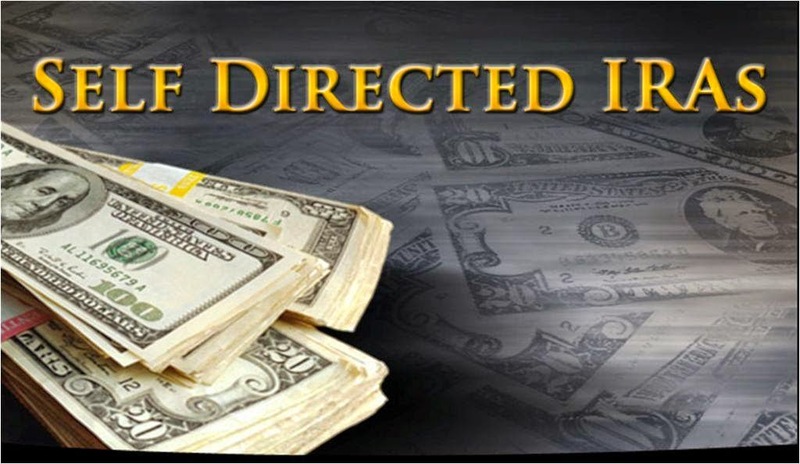 Self-directed IRAs can include any investment, other than life insurance and collectibles, that are not specifically prohibited by federal law. As with all other IRAs, self-directed IRAs must comply with various rules and regulations, including a rule against “prohibited transactions”. There are several types of transactions that the federal government have determined to be improper if conducted with the IRA account holder, his or her beneficiaries, or any disqualified person. A direct or indirect owner of 50% or more of any entity that is described in numbers 3 or 4 above. Any disqualified person who is a disqualified person with respect to any plan to which a multiemployer plan trust is permitted to make payments under Section 4223 of ERISA. Buying property for personal use with IRA funds. What are the consequences if there is a prohibited transaction? The penalties for engaging in a prohibited transaction are severe! The Internal Revenue provides that if any prohibited transaction occurs, the account is no longer an IRA and it will be treated as if the assets within the account were distributed on the first day of the taxable year in which the prohibited transaction occurs. This will trigger a 10% early withdrawal penalty, tax on the constructive distribution, and often an accuracy-related penalty for each of the tax years affected. In 2010, Mark decided to roll over all $2,000,000 from his 401(k) plan to a self-directed IRA. On July 1, 2011, the IRA purchased a rental property for $400,000 and left the remaining assets invested in securities. The IRA then hired Mark to manage the property and agreed to pay him 10% of the total rents received. Mark managed the property until late 2013 when the IRA sold it for $450,000. For the years 2011 through 2013, Mark reported his “management fee” as income, but did not report any of the rental income or the gain on the sale of the property because he knew that income earned by an IRA is tax-deferred. 20% accuracy related penalty in 2013. It is not my intent to discourage anyone from using self-directed IRAs as investment vehicles. However, it is very important to understand that it can be very easy for someone to engage in a prohibited transaction and incur very severe penalties as a result. Therefore, if you are thinking about utilizing a self-directed IRA, talk to a tax professional to ensure that everything is done properly. Because of advances in technology, it is increasingly easy for people to work from home and save money doing so. 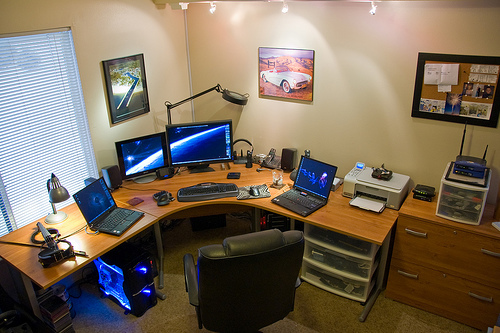 Having a home office means that you do not have to spend hours every month sitting in traffic trying to get to work, and you do not have to spend as much on fuel for your car. It also means, if you own your own business, that you can save thousands of dollars in rent. But it also is a tax deduction. By claiming the home office deduction, you are allowed to deduct a portion of your living expenses such as utilities, that would otherwise be non-deductible. This deduction is available to you whether you own your own business or work for someone else. But if you are an employee, you must be working from home for your employer’s convenience and not your own. If your employer requires that you work from home, then that test is met. Unfortunately, this deduction has been greatly abused by taxpayers and now the IRS is very strict in ensuring that your home office meets all of the requirements for the tax deduction. The home office deduction is only permitted if the home office is used exclusively on a regular basis either: 1) as the principal place of business for any trade or business of the taxpayer; 2) as a place of business that is used by patients, clients, or customers in meeting or dealing with the taxpayer in the normal course of his or her trade or business; or 3) in the case of a separate structure that is not attached to the dwelling unit, in connection with the taxpayer’s trade or business. To qualify under the “regular use” test, the home office must be used on a regular basis. Working from home once a month does not count. To qualify under the “exclusive use” test, you must use a specific area of your home exclusively for your business. Even after “business hours,” you cannot use the space for non-business purposes. Something as simple as your children “hanging out” in that room when you are not conducting business disqualifies the whole deduction. However, if your home office meets these tests, the deduction can be substantial. Under a new safe-harbor, the deduction is $5 for every allowable square foot, up to 300 square feet. The deduction can be even greater if you keep track of all of your actual expenses, such as your mortgage, property taxes, and utilities. There are a number of different ways that financially successful people obtain their wealth, but once they have it most will tend to diversify their investments among stocks, bonds, and rental real estate. They diversify their assets in order to reduce the risk that any particular type of financial calamity will have too large of an impact on them. So what makes rental real estate an attractive investment vehicle? It could be the simple business model. Person A needs a place to live. Person B owns an extra house. Person A pays Person B to live there. It could be that it is a tangible investment. An investment simply feels more real if you can see it before your eyes. Or it could be that the investor expects the property value to rise and wants to finance the property through others paying rent. In addition to all those reason, I think the tax incentives that the government gives rental property owners is a big factor. 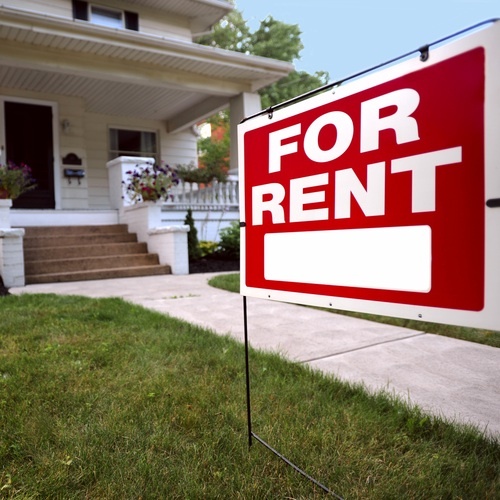 There are a number of tax advantages to owning rental real estate. Depreciation. When you are renting out real estate, you are entitled to depreciate the full value of the building over a number of years (how many depends on whether it is a residential or non-residential property). This means that you can depreciate both the amount of cash you paid plus the amount that you borrowed on the property. Note: Only the building is depreciable, not the value of the land. Expenses are deductible. All the expenses you incur in renting the property are deductible. This includes mortgage interest, property taxes, a property manager, HOA fees, utilities, etc. Of particular value is the mortgage interest deduction. As I mentioned above, you are already allowed to depreciate the mortgage, but this deduction allows you to deduct the interest paid as well. Capital Gains. When you eventually sell the property, assuming that you purchased as a rental and operated it in that manner, any gain will be taxed at capital gains rates which are significantly lower than ordinary income tax rates. Taking advantage of these incentives means that in some years investors may have a positive cash flow but little to no taxable income. There are some limitations on these benefits. Because of tax games that were played in the 1980s, Congress has categorized all rental income as “passive income” and only allows passive losses to offset passive income. There are two exceptions. The first is for real estate professionals, which we will not discuss here. The second exception allows individuals to deduct up to $25,000 of rental losses if they actively participated in the real estate activity. This exception phases out for individuals with modified adjusted gross incomes of greater than $100,000. If you own a business, you know how important it is to retain your top talent. You can offer great pay, benefits, and interesting work, but your employees may decide that it is cheaper to stay home than to pay for child care. How can you compete with that? One option may be to provide child care for your employees, and the federal government will help pay for it through the Employer-Provided Child Care Tax Credit. This tax credit is equal to 25% of qualified child care expenditures and 10% of qualified child care resource and referral expenditures, up to a maximum tax credit of $150,000. 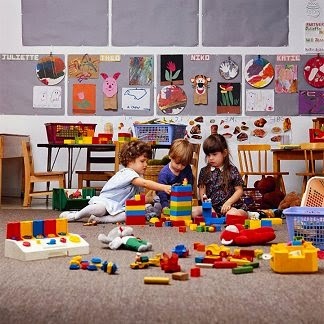 Contracts with a qualified child care facility to provide services to employees. The operating costs of the facility includes, in addition to all normal expenditures for this type of facility, the cost to train employees and to offer scholarship programs. XYZ Corporation has been experiencing a high turnover rate because of the number of young parents that it employs. In an effort to retain a greater number of its most valued employees, it decided to convert some unused office space into a daycare facility at a cost of $300,000. XYZ Corporation hired several individuals with extensive training in the field to operate the facility at a cost of $200,000 per year. XYZ Corporation can claim a federal income tax credit of $125,000 (25% of the qualified expenses) in the first year, and a $50,000 tax credit (25% of the operational costs) in the following years. Is “going green” important to you? Do you not only want to make your home energy-efficient, but drive a green vehicle as well? The federal government has made that desire more affordable by offering 2 different tax credits to you, depending upon the type of “green vehicle” you are purchasing. Alternative Motor Vehicle Tax Credit. This tax credit is available to individuals who purchase a qualifying fuel cell motor vehicle. These vehicles are propelled by the power derived from one or more cells that convert chemical energy directly into electricity. Generally, you can rely on the manufacturer’s certification that a vehicle qualifies for this credit. In order to qualify for this tax credit, you must: 1) be the owner of the vehicle; place the vehicle into service during the tax year; 3) the vehicle must be new (its “original use” must begin with you), 4) you must purchase the vehicle to use or lease to others; and 5) you must use the vehicle primarily in the United States. This credit is currently scheduled to expire at the end of 2016. Plug-In Vehicle Tax Credit. 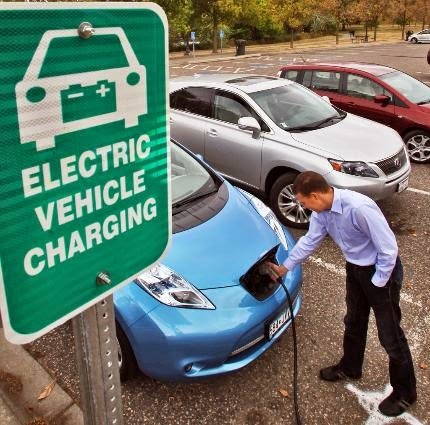 This tax credit is available to individuals who purchase or lease a qualifying, four-wheeled plug-in electric vehicle manufactured primarily for use on public streets. The value of this credit ranges from $2,500 to $7,500. The base credit is $2,500, and an additional $417 for each kilowatt hour of battery capacity starting at 5 kilowatt hours, up to a maximum of $7,500. This credit will begin to phase out for a manufacturer’s vehicles when at least 200,000 qualifying vehicles have been sold for use in the United States, determined on a cumulative basis. However, at this time no manufacturer has come close to selling 200,000 qualifying vehicles. Click here for the IRS’s list of cumulative sales by manufacturer. To qualify for this credit, the vehicle must: 1) be manufactured primarily for use on public roads; 2) weigh less than 14,000 pounds; and 3) be able to exceed a speed of 25 miles per hour. Preston Barry on Why Have a 401(k)? Marvin on Why Have a 401(k)? Copyright © 2016 Reid, Sahm, Isaacs, & Schmelzlen, LLP. All rights reserved.